INSCT’s portfolio of books, white papers, working papers, proceedings, monographs, and other publications cover a spectrum of topics, including national security/counterterrorism, strategic geopolitics, homeland security, military veterans, postconflict reconstruction, and international humanitarian law. When crisis requires American troops to deploy on American soil, the country depends on a rich and evolving body of law to establish clear lines of authority, safeguard civil liberties, and protect its democratic institutions and traditions. Since the attacks of 9/11, the governing law has changed rapidly even as domestic threats—from terror attacks, extreme weather, and pandemics—mount. 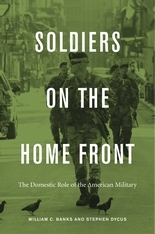 Soldiers on the Home Front is the first book to systematically analyze the domestic role of the military as it is shaped by law, surveying America’s history of judicial decisions, constitutional provisions, statutes, regulations, military orders, and martial law to ask what we must learn and do before the next crisis. Recognizing that many of today’s conflicts are low-intensity, asymmetrical wars fought between disparate military forces, Banks’s collection analyzes non-state armed groups and irregular forces (such as terrorist and insurgent groups, paramilitaries, child soldiers, civilians participating in hostilities, and private military firms) and their challenge to international humanitarian law. Addressing the considerable challenges for the future of armed conflict, each contributor in the book explores the premise that in COIN operations, international humanitarian law, human rights law, international law more generally, and domestic national security laws do not provide adequate legal and policy coverage and guidance for multiple reasons, many of which are explored in this book. A second shared premise is that these problems are not only challenges for the law in post-9/11 security environments-but matters of policy with implications for the international community and for global security more generally. Counterterrorism Law organizes this rapidly growing body of law into discrete, coherent, and pedagogically efficient parts. 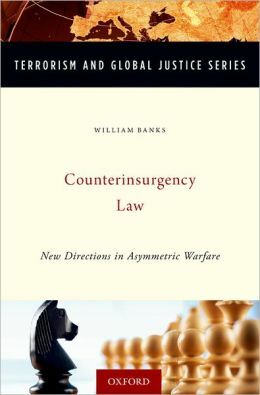 The text is a concise introduction to the making and enforcing terrorism law and policy. Adaptable for use in seminars as well as courses with limited class hours, Counterterrorism Law covers not only core issues of detention, interrogation, and law enforcement but also related issues of data-mining, screening, civil liability, targeted killing, and sanctions. National Security Law provides the broadest exploration of both constitutional and domestic law issues in national security of any book in the field. This highly respected team of authors uses expressive and descriptive text to provide context and informative historical and background information as well as thoughtful treatment of related international law topics. The fifth edition features the most recent and important cases as well as excerpts from significant reports and other materials. Russian President Vladimir Putin has increased the power and resources of Russia’s power ministries – military, security, and law enforcement agencies. He also has empowered many political allies with backgrounds in these structures, placing them in important positions throughout the state, and in state-owned businesses. 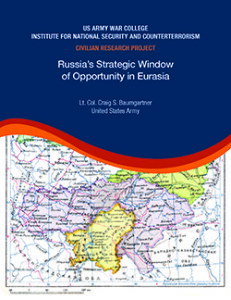 Corrupt and inefficient Russian power ministries potentially threaten US foreign and security interests, particularly in terms of nonproliferation and transnational crime and terrorism. The US should continue to cooperate where possible with Russia on important security interests, but must be aware of how the “commercialization” of the power ministries affects their behavior and complicates joint projects. 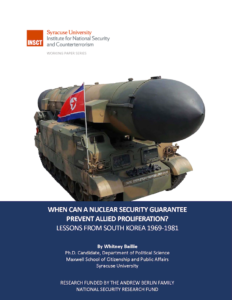 When Can a Nuclear Security Guarantee Prevent Allied Proliferation? The purpose of this study was to draw some preliminary conclusions about the factors that influence the credibility of U.S. nuclear security guarantees and consequently their effectiveness as a nonproliferation tool. It is not just a matter of whether nuclear security guarantees prevent U.S. allies from proliferating. Rather, I investigated the policy choices surrounding these guarantees that affect U.S. allies’ perceptions of the credibility of the guarantee. This is imperative because only a credible nuclear security guarantee can serve as a viable substitute for a country’s own nuclear arsenal, especially when they face a grave security threat. In the post-9/11 world, fears of terrorism have led to growing anti-immigration sentiments among the public and calls for stricter national security measures. While recent studies have successfully discredited the general theory that immigration increases the risk of terrorist infiltration (Bove & Bohmelt, 2016), authors have largely ignored the terrorists next door. Domestic terrorism remains widely understudied (Simi, 2010); however, the threat is just as potent and pervasive as the danger posed by international actors. Women are present on the frontlines of conflict as combatants, peacebuilders, victims, and more. Yet, when it comes to negotiating the peace they are conspicuously absent, meaning their needs often go ignored. Education disruption impacts generations in postconflict societies and developing nations leaving youth unprepared for the labor market, unable to fully participate in civil society reconstruction, and susceptible to return to conflict. Education in post-conflict societies and refugee camps is often impacted by poorly trained teachers, classroom overcrowding, corruption and security issues, and travel distances. The Digital Classroom Foundation (DCF) intends to develop a pilot program, which mitigates the above-identified issues, for Syrian refugees residing in Lebanon. On March 26, 2017, more than 40 residents from the Syracuse, NY area attended a three-hour public workshop to evaluate and discuss perspectives and policy options surrounding the use of Unmanned Aerial Systems (UAS, or “drones”) in the community. This deliberative public workshop shed light on how an informed public views issues relating to the use of UAS. 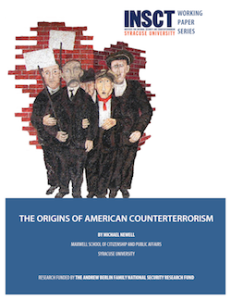 While much attention has been paid to the American state’s reaction to the Sept. 11, 2001, attacks, the origins of institutions and ideas deployed in the War on Terror in historical conceptions of terrorism and political violence have been overlooked. In this paper, I analyze these historical origins through the American state’s response to Ku Klux Klan (KKK), Irish-American Fenian, and anarchist political violence from the end of the Civil War in 1865 until the 1920 bombing of Wall Street, the last alleged significant act of anarchist violence. I argue that this history demonstrates a process of threat construction and changes in institutions, laws, and policies. These changes came about through a mixture of complex social and political factors, but the perception of threat significantly influenced their content and the populations they were directed against. 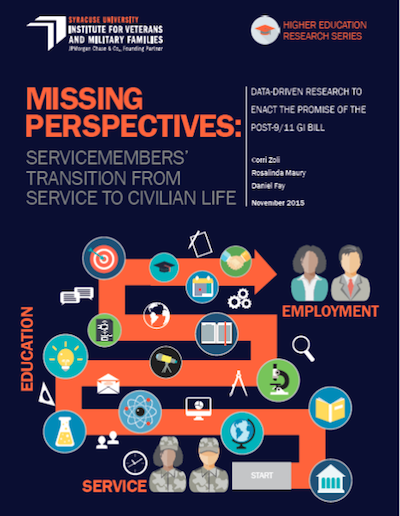 Developed with generous support from a Google Global Impact Award and in dialogue with our partners—the Student Veterans of America (SVA), the Posse Foundation, and the Veterans of Foreign Wars (VFW)—this summary report uses an interdisciplinary, data-driven approach to understand how today’s Post-9/11 military servicemembers are faring in their transition processes, especially in higher education. When evaluating emerging nuclear powers, researchers often devote attention to the quantity and quality of a state’s physical nuclear arsenal while overlooking command and control structures. These measures of nuclear capacity, however, are more useful for generating estimates of a state’s nuclear intentions than accounting for how a nuclear state’s organizations might operate in practice. Any explanation of how these states operate in practice must account for the role of command and control. By explaining the factors that affect command and control systems within emerging regional nuclear states, researchers can better understand the practical employment of nuclear capabilities, which offers insight into how destabilizing future proliferators may be for regional and global security. This dissertation is an in-depth case study of NATO advisors and their perceived influence in Afghanistan (2009-2012). It explores the two-part question, how do foreign security actors (ministerial advisors and security force trainers, advisors, and commanders) attempt to influence their host-nation partners, and what are their perceptions of these approaches on changes in local capacity, values, and security governance norms? I argue that security sector reform (SSR) programs in fragile states lack an explicit theory of change that specifies how reform occurs. From this view, I theorize internationally led SSR as “guided institutional transfer,” grounded in rationalist and social constructivist explanations of convergence, diffusion, and socialization processes. This essay bridges security and legal studies to show how contemporary debate over humanitarian legal norms today in both Islamic and international law traditions is a response to tectonic shifts in global conflict patterns now occurring in the post 9/11 security environment. If these shifts have helped raise these legal norms and their gaps to new heights of global discussion, this reflexive moment is overwhelmingly positive—provided that such attention, particularly in the Islamic context, is framed in ways adequate to the complexity of our changing international security environment. humanitarian and human rights violations over the course of Colonel Mu’ammar al-Qadhafi’s 40 years of leadership. This report provides an overview of INSCT’s US Department of State/US Embassy-Kabul International Visitor Leadership Program, which provided the Afghan Governor of Laghman Province, Mohammad Iqbal Azizi, opportunities to experience first-hand examples of US democratic governance at the federal, state, and local levels and which exposed US academics and policymakers to an emergent Afghan leader’s approach and to perspectives about Afghan provincial transition and reconstruction processes. In 2013, China’s President Xi Jinping announced his vision for the “Silk Road Economic Belt’ and ‘Maritime Silk Road of the Twenty-First Century,’” which signaled the birth of China’s One Belt, One Road global infrastructure project. Officially named the Belt and Road Initiative (BRI) in 2015, when complete it will connect Europe, Asia, and Africa through one network of land and sea lanes, enabling efficient trade and flow of resources across 68% of the world’s land mass. Often seen as a purely economic program aimed at sustaining China’s growth, the BRI is a new grand strategy with an end-goal of achieving global superpower status, eclipsing the United States in all ways. US policymakers have been slow to study the BRI and how it challenges US national interests. US actions to date have been inconsistent, disjointed, and late in addressing China’s moves to assume a greater global role. In light of China’s new strategy, the United States Government (USG) must take actions to maintain American global influence and offset China’s gains, all while mitigating the risk of armed conflict. Historical examples like the Solarium Project serve as a template for developing a long-term, comprehensive strategy toward a rising China. Many scholars in the field of civilian and military relations focus on a gap between senior civilian and military leadership. In this paper, I will focus on that gap as it pertains to the American population and the disconnect that exists with the people who serve in our Armed Forces. Three significant factors are contributing to this disconnect; representation of the population in uniform, social and cultural gaps, and politics in military service. Narrowing the patterns we recruit affects the geographic and economic composition of our military members, distinguishing them from their civilian counterparts. From a cultural perspective, the norms of the military are often at odds with those of the younger generation, the very audience the military needs to target to maintain a viable force. Along with an unbalanced representation, the growing role of politics and the uniform has the potential to widen an already existing gap in the civil military relations in our nation. Closing the gap will require a reconsideration of the all-volunteer force, who and how we recruit, and how we are re-connecting our service members with society. During a time of dwindling resources and competing requirements, the future of our veterans’ care and benefits remains uncertain. It is our obligation as a nation to establish a strategy to ensure support for those who defend our freedom and protect our way of life. It is also our fiduciary responsibility to the American public to ensure this strategy is manageable given a fiscally constrained environment. This paper discusses issues of supporting an All Volunteer Force and also will provide a brief overview of the US Department of Veterans Affairs (VA) system’s current practices and trends in benefit claims. It then recommends possible courses of action with respect to military retirement and benefits reform as well as VA disability benefits. Ultimately, this paper advocates that a national policy must be implemented to benefit the military and our society as a whole. All the contributors to the Symposium share the view expressed by Bantle Professor Montgomery Meigs that successes in the struggle against violent extremism will occur only when government and the private sector combine forces. Business models and private sector leadership and management solutions will help develop the technologies and ideas that will support government in its ongoing efforts to combat extremist forces. The articles collected in this book build on presentations made by panelists at the symposium. They examine executive branch challenges in forming counterterrorism policy; dilemmas faced by governments in liberal democracies in countering terrorism; the composition, formation, and operation of groups involved in the global salafi jihad; and legal considerations in the war on terrorism especially concerning the use of coercive interrogation to obtain critical intelligence.